2D line sets can be exported to create sub-surveys. Similarly, 2D volume data can be constrained to a line set during export to create sub-volumes. From the Survey tab, right click on the 2D line set. Click Export and select Export 'Survey'. Type a file name, select a directory and click Save. The line set will be exported to a .survey extension file format. 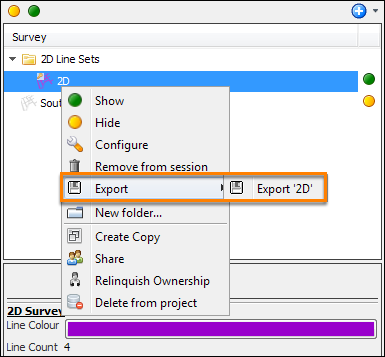 Once a 2D line set has been exported, it can be imported like any other survey (see Importing a Survey). Right-click, select Export and Export csv of intersecting lines. Type the file name and click Save. 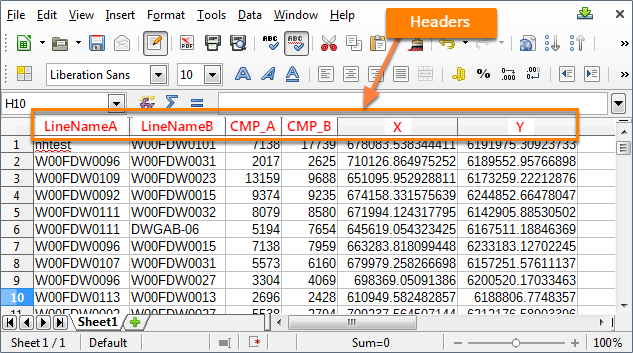 The line intersections will be exported to a .csv extension file format. The following is an example of a .csv survey file. By default, the survey file does not include headers. Refer to the example below for headers of each column. From the Volume tab, right click on the 2D volume and click Export. 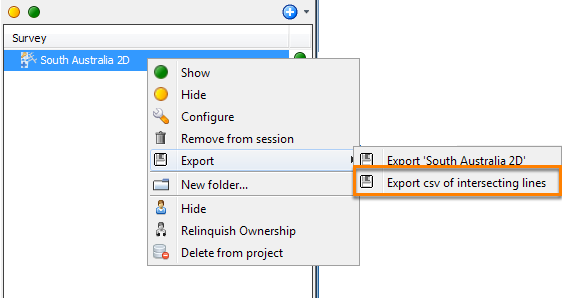 The Export Volume window will be displayed. At Constrain to line set, select a line set to constrain the export. Alternatively, select only the lines you want to constrain the export by selecting the check boxes beside the line names. 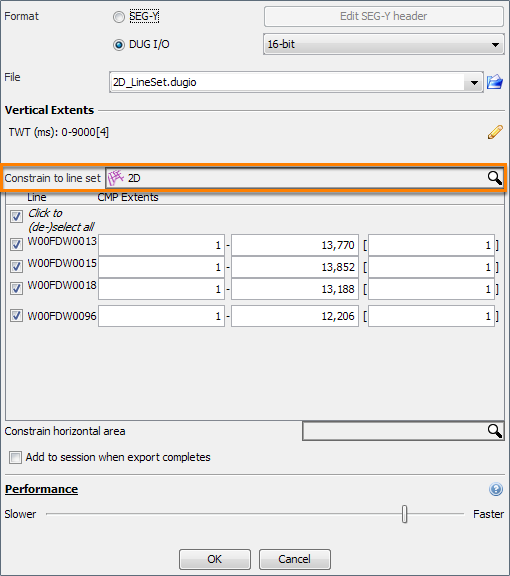 Follow the rest of the steps in Export a 2D Volume to DUG I/O. Once a constrained 2D volume has been exported, it can be imported like any other volume (see Importing a Volume).